The sales and marketing buzzword word at the moment is “Social Selling”; where the sales process is now tapping into social media conversations and the impact of social networks in driving brand awareness or buyer consideration. Most sales and marketing leaders would concur that the sales process has completely changed. Sales people need to adjust their skill set as tactics like cold calling has a low return for allot of effort so learning how to harnessing the power of selling via social media is important. A social selling strategy should be about a genuine effort to share value and content prior to engaging in any sales conversations. Social selling is not SPAM, too often the simplistic approach is for sales people to spam sales messages on Twitter, Facebook, on LinkedIn groups, or to a new connection with a vanilla flavoured sales message and a self serving web link. If you do this stop, as the moment anyone gets these messages, the brand loyalty and any trust gets flushed away. Connecting and building your social network just to SPAM them is NOT social selling. The biggest social selling tip is to truly build value over time with your social network by sharing content that people find useful and helpful. In time when you personally message to a social tie to engage in a sales discussion your chances of a positive response will be greatly improved. Step 3. Track your prospects. 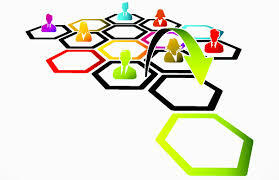 Review their posts, timelines and understand what they are interested in or saying. Step 4. Share quality content (not just your own). Seek out some information of mutual interest, and then share. The information must be professional and relevant to them. You can also like or even re-tweet their content. Step 6. Gradually become a valuable connection, one worth listening to. Once you have established yourself as a valuable connection, you can nurture and build a buyer/supplier relationship far more quickly. These steps are the foundations of social selling, and too many marketing and sales people forget that selling is all about firstly building relationships and secondly providing value. Start now to implement these social selling steps and you will have set yourself to gradually drive more sales then cold calling can ever do. 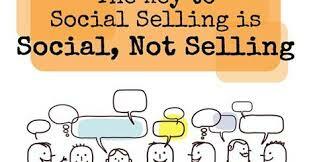 Another social selling tip is to remember that selling is inherently social so social selling is nothing new. Rather look at social selling as a sales tool to help you sell more effectively that will evolve over time. So now share some articles or research on reducing IT, then if your product or service can help with reducing IT costs, at an appropriate time you can tweet them about it, message them or send a personalised e-mail explaining the value you might be able to add to their focus based on what they said (see step 4 above). This is a shortened version of events but the point is to look for information about what people or companies are doing or saying so you can be highly relevant to them when you reach out on social media. The indirect aspect of social selling has to do with building your own personal brand so over time your social audience (connections and weak ties) eventually value your shares and see you as an industry expert, not just another sales person (see steps 5 and 6 above). However please do realise this does take time and does not provide the instant hit that sales leaders think should happen these days. Social selling is all about adding value to your target market. I write articles on sales and marketing, I try to add some value by not just talking about the theory of selling or business but actually giving my readers some useful tips on sales, marketing and business. I share suggestions on what to do and how to do it. I also regularly post or re-tweet articles from other sources not just about sales but about business topics that I think are important to my audience. On a daily basis I review discussions on my groups in LinkedIn and give honest answers to questions people have without plugging my business or telling them I wonderful I am or how I can help solve their problems if they meet me. So, let me wrap up by saying, really take the time to think through your “Social Selling” goals, expectations and approach. Spend time looking for articles, news and research you can use to connect with people without interrupting them while at the same time position yourself as an industry expert by sharing quality information that is on the money. This will help you throughout your sales career no matter what product or service you are selling.